After 40 years as a parish priest, Fr Pat Cleary would like to consider himself as the conductor of an orchestra. Keith Morris reports. 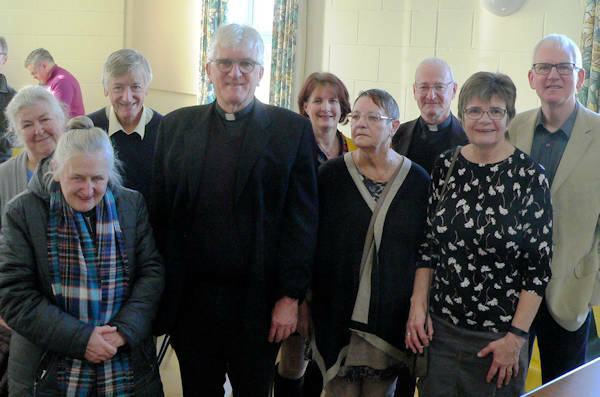 On December 16, Fr Pat Cleary marked 40 years since his ordination, on the same day that Bishop Alan Hopes officially installed him as the new parish priest at Our Lady and St Thomas of Canterbury in Wymondham. One of the very first to be ordained into the fledgling Diocese of East Anglia, Pat was born and bred in Ipswich, leaving school aged 15 with no qualifications to join cotton and linen retailers John Hawkins & Sons. Within four years, Pat was managing one of the firm’s stores in Portobello Road, London, a position he had thought would take him until the age of 40 to reach. Pat went to his parish to ask if he could do missionary work for the church in a foreign country. His parish priest, Fr Alfred Bull, asked him if he had ever considered becoming a priest, which he hadn’t due his lack of qualifications. Having been accepted as a candidate for the priesthood, Bishop Grant of Northampton sent him to a college in London called Campion House, run by the Jesuits, to brush up on his general education for two years before going to a seminary. “I was then a full-time student for eight years, two years at Osterley and then All Hallows in Dublin where I did a degree course in Theology. I found studying quite exciting and gained so much from it,” he said. In December 1978, Pat became one of the first priests to be ordained in the new Diocese of East Anglia at St John’s Cathedral. His first role was as assistant priest at OLEM in Cambridge, then Ipswich St Mary’s, then briefly at the Cathedral, before becoming a parish priest at St Mary’s Thetford. Fr Pat became the assistant director of the Society and spent five years in the USA in Boston, travelling to Ecuador, Peru and Bolivia where the Society served. He also organised mission appeals in 250 churches each year – quite a task. He came back to East Anglia in 1999 and was sent by Bishop Peter Smith to Lowestoft as parish priest for a couple of years, then to St Neots for eight years until 2010, when he went to St Laurence in Cambridge and earlier this year to Our Lady and St Thomas of Canterbury in Wymondham. 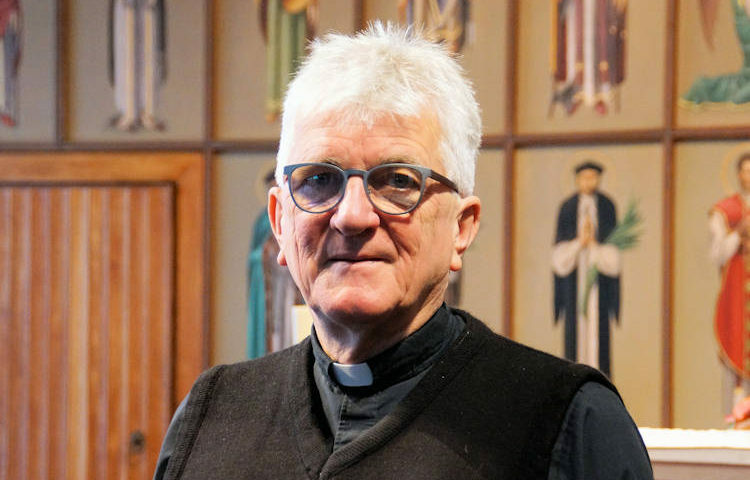 For the last four years, Fr Pat has also been the diocesan Director of Vocations, promoting vocations and accompanying those who are in seminaries in their studies, on behalf of the bishop. “I visit every seminary where we have a student once a year and meet all our seminarians and their rectors. It’s important work and a privilege to accompany our varied and talented group of seminarians. “The average age of seminarians has gone up since I was at seminary. Then in was in the early 20s, now they are more likely to be older with some life experience which will help them in their pastoral life,” he said. Fr Pat has also helped oversee a positive current situation with a dozen seminarians in training. “Bishop Alan encourages people to consider a vocation. He considers every applicant on their own merit,” he said. “We are living in a far more materialistic and secular world. This, along with the abuse scandals of recent years, makes applying for the priesthood a counter-culture decision. “Today people are encouraged to build lives based on themselves, being the star of their own show. Whereas if you have a Christian dimension to life then Jesus is the star and we are followers not leaders. We need people with a personal commitment to the Lord, you can’t just coast along. “I remember a quote from Mother Teresa when she was interviewed by Malcolm Muggeridge and asked whether she had been successful that day. She said: ‘I didn’t set out to be successful, I set out to be faithful.’ And that has to be our approach too, we are not just about getting bigger numbers in our churches and seminaries. “The priest has an important role to play, but it is one of service and not of power. We are here to serve God and the people. We need to be faithful as disciples of Jesus,” said Fr Pat. Pictured above is Fr Pat Cleary inside Our Lady and St Thomas of Canterbury in Wymondham, at the installation Mass with Bishop Alan and with his family. Pictures by Charley Purves.